Ngarino's Blog: Duffy Certificate - Week 6. 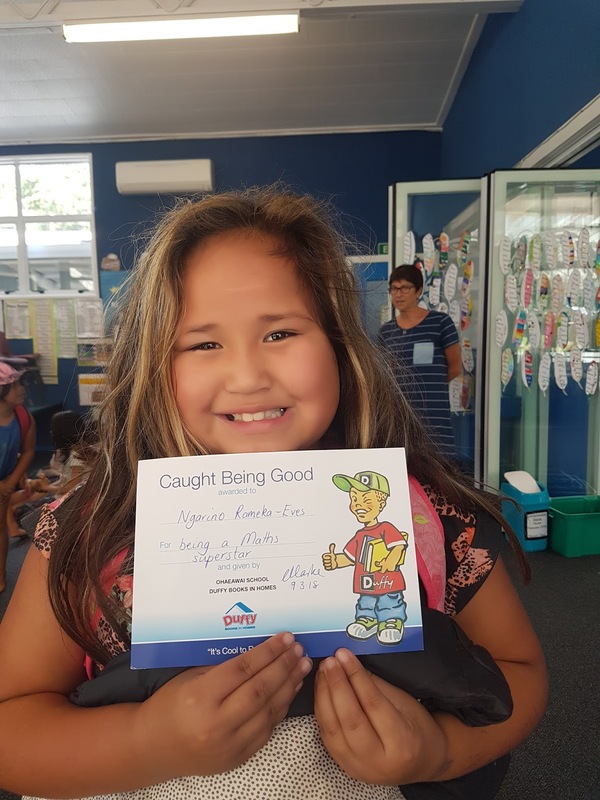 Ngarino got a certificate at assembly for being a Maths Superstar. She is so focussed and on task with her maths. We are very proud of her progress and her independence. Tino Pai Ngarino! Well done on your certificate Ngarino you are Awesome.